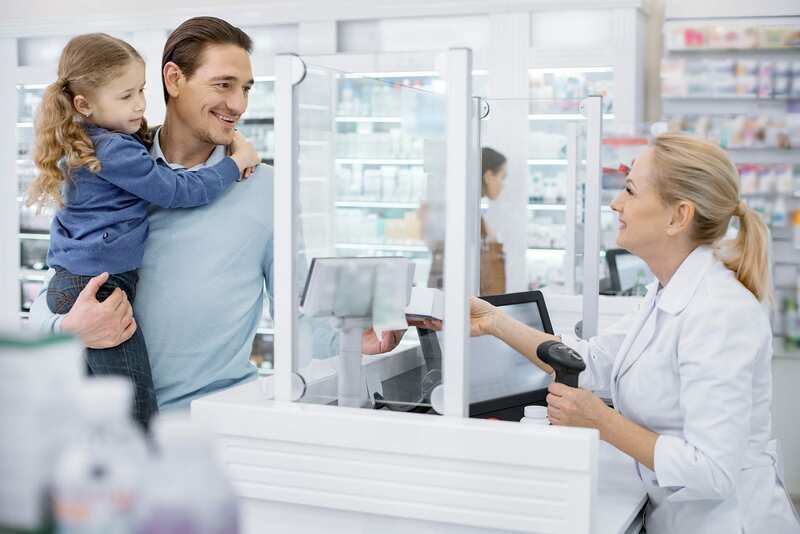 In community pharmacies, hospitals, and other healthcare settings, pharmacy technicians support registered pharmacists in direct patient care and the dispensing of medications to patients. Technicians perform their assigned duties under the close supervision of a pharmacist who must check medications before they are dispensed to the customer. The Mississippi State Board of Pharmacy holds technicians to the highest standards. While enrolled in a pharmacy technician program, students must apply for registration, which includes the completion of an acceptable criminal background check. In keeping with the standards, employers may require proof of immunization and routine drug testing from all employees and potential employees. Pharmacy technicians’ responsibilities are determined by state and federal laws and employer policies. 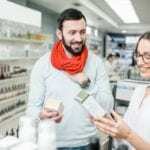 General duties include the receiving and processing of prescriptions, greeting customers who enter the pharmacy, referring customers to the pharmacist for counsel, monitoring, ordering, and receiving inventory, packaging and labeling prescriptions, preparing paperwork for collecting payments, calling physicians to verify the accuracy of prescriptions, and supervising other technicians and pharmacy staff. Pharmacy technicians employed in hospital settings may perform duties that are far different from technicians employed in community pharmacies. 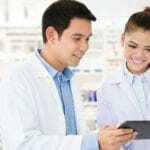 The expanding duties of technicians have increased the need for national certification for employment in many pharmacies. National certification requires a high school diploma or equivalent and criminal background clearance. The Pharmacy Technician Certification Board will require candidates to complete an American Society of Health-System Pharmacists accredited program for certification starting in the year 2020. The pharmacy technician training program at Mississippi College is offered in collaboration with Condensed Curriculum International. The program prepares students to sit for the PTCB exam. The program covers 50 hours of instruction in medical terminology, reading and interpreting prescriptions, defining drugs by general and brand names, and customer service. Other areas of study include IV flow rates, dispensing of prescriptions, drug compounding, dose conversions, billing and reimbursement, and inventory control. The class is offered in the evening only. Class times are 5:45 pm to 8:45 pm. An online option is also available. Students who enroll in the online option may qualify for a 40 to 100-hour externship. At the conclusion of the program, students will know how to define medical and pharmaceutical terms, perform pharmaceutical calculations, communicate effectively with patients and medical professionals, understand the laws that govern pharmacy, interpret physician orders, and process insurance billing and collect payments. Tuition for the program is $1199. The cost of the online program is $2,499 and must be completed in 12 months. The pharmacy technician program at Access Training prepares students for entry-level employment in a pharmacy setting. The curriculum prepares students to dispense prescriptions alongside pharmacists in hospital, retail, and home infusion pharmacies. Students will learn the professional communication with patients, proficiency in practice, and the preparation needed to sit for the Healthcareer Association certification exam. Course topics include medical terminology, keyboarding, medical anatomy and physiology, communication, introduction to pharmacology, pharmacology, and pharmacy law and ethics. Other topics include nonprescriptive drugs and devices, pharmacy math and calculations, pharmacy management, pharmacy externship, and review. The pharmacy technician externship will commence after the student completes the prerequisite courses. Students will be assigned to a pharmacy where they will practice the responsibilities and duties of a pharmacy technician under the supervision of a registered pharmacist. The pharmacy externship requires completion of 175 hours of practice. The duration of the program is 12 weeks. Contact the school for a current schedule and tuition. Jones County Junior College’s Pharmacy Technology program combines classroom lectures with lab instruction and clinical experience to prepare students for employment in the field of pharmacy. Areas of study include pharmacology, FDA testing, drug classifications, common drugs and their effects on the body, drug use and abuse, transcription abbreviations, generic and trade name drugs, therapeutic classification of drugs, pharmacy math, and dosage calculations. Students will also learn packaging and distribution of drugs, methods of drug preparation, pharmacy operation in hospital, retail, and compounding pharmacies, and practical learning experiences in community and institutional pharmacies. Registration with the Mississippi Board of Pharmacy is essential for participation in the clinical externship. Registration requires completion of an acceptable criminal background check, adherence to the immunization policies, and submission to random drug testing. The ASHP accredited program is designed to be completed in five semesters. Students who successfully complete the program will receive an Associate in Applied Science degree. Tuition costs $1,700 per semester. Central Mississippi Pharmacy Technician prepares students for employment as an entry-level pharmacy technician. Students will acquire the knowledge and skills to take a national certification exam to become a Certified Pharmacy Technician. The training will include medical terminology, generic and brand name drugs, pharmacy billing and procession of insurance payments, pharmacy operations, pharmacy law and ethics, pharmacology, drugs and their effects on the body, preparing and dispensing prescriptions, dosage calculations, packaging and labeling, and pharmacy inventory. Use the contact information below to schedule a booking and enroll in the program. The pharmacy technician program at the Institute of Health and Technology trains students to enter the field of pharmacy. The program includes lectures in the classroom that will include training in pharmacy terminology, pharmacy law and ethics, billing and insurance, receiving and preparing prescriptions, inventory control, packaging and labeling medications, dosage calculations, IV flow rates, drugs and their effects on the body, and generic and brand name drugs. Included in the program is a clinical externship that gives students the opportunity to demonstrate their ability, skills, and knowledge in a real-world environment. A supervisor at the externship site will evaluate students’ performance throughout the clinical experience. Morning and evening schedules are available to accommodate students’ needs. Classes meet four clock hours a day from Monday through Thursday in the classroom and 36 to 40 hours a week for the clinical sessions. Full-time students will complete the program in less than 38 weeks. The Institute of Health and Technology offers a review class to prepare students for success on a national certification exam. Use the contact information below to schedule an interview with an admission’s counselor.